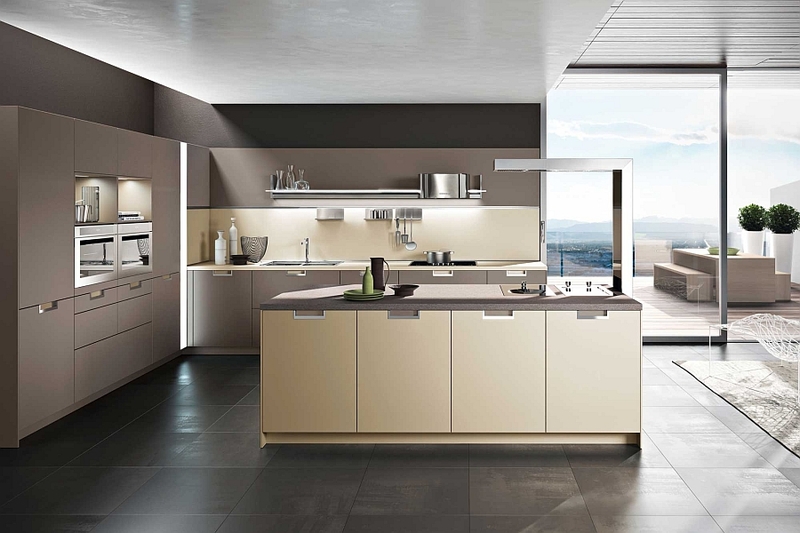 Contemporary kitchen spaces are all about an immaculate combination of aesthetics and ergonomics that makes them so irresistible. 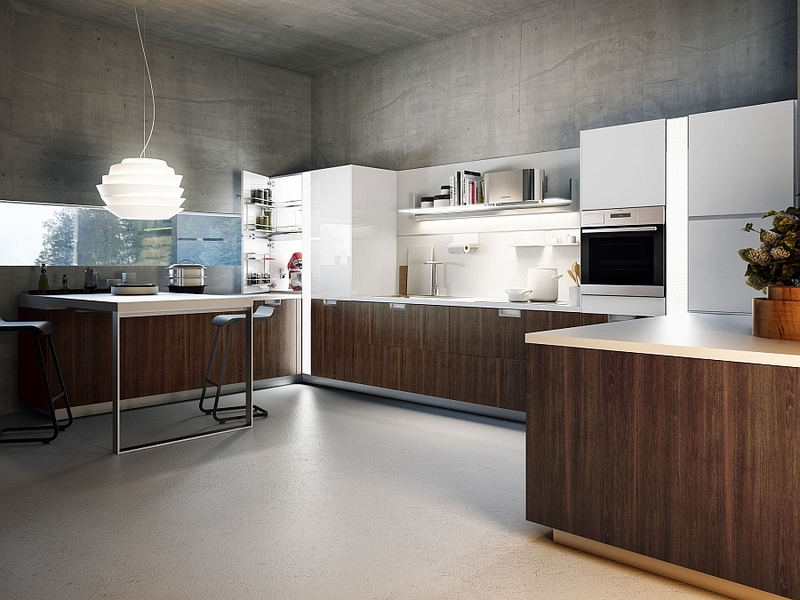 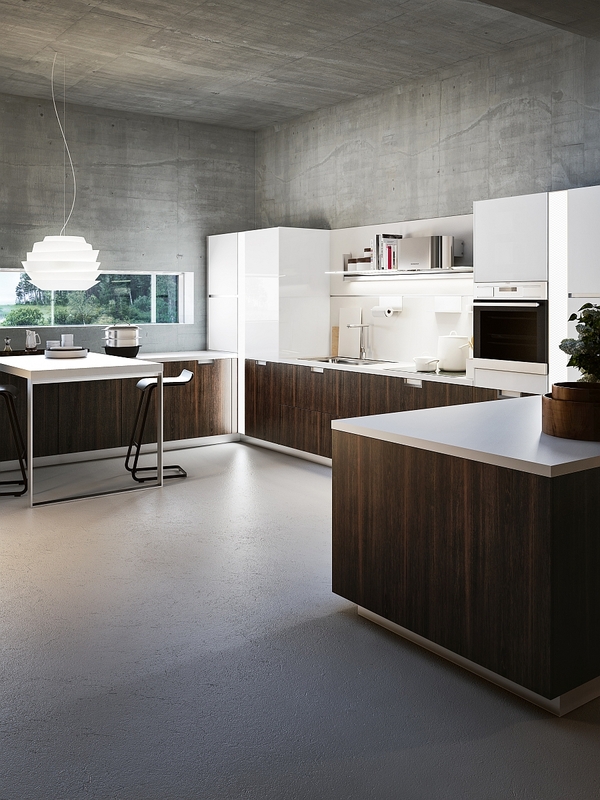 One cutting-edge kitchen that seems to showcase this design philosophy with urbane elegance is the chic Lux from Snaidero. 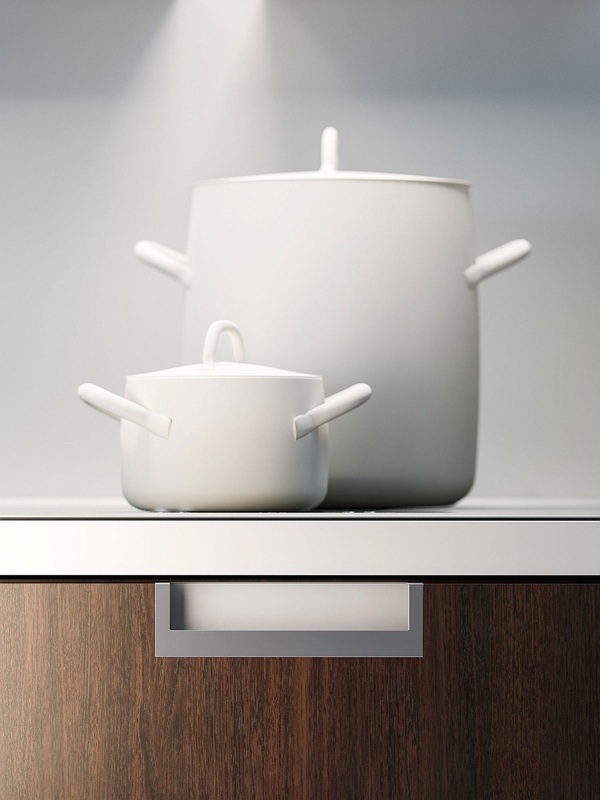 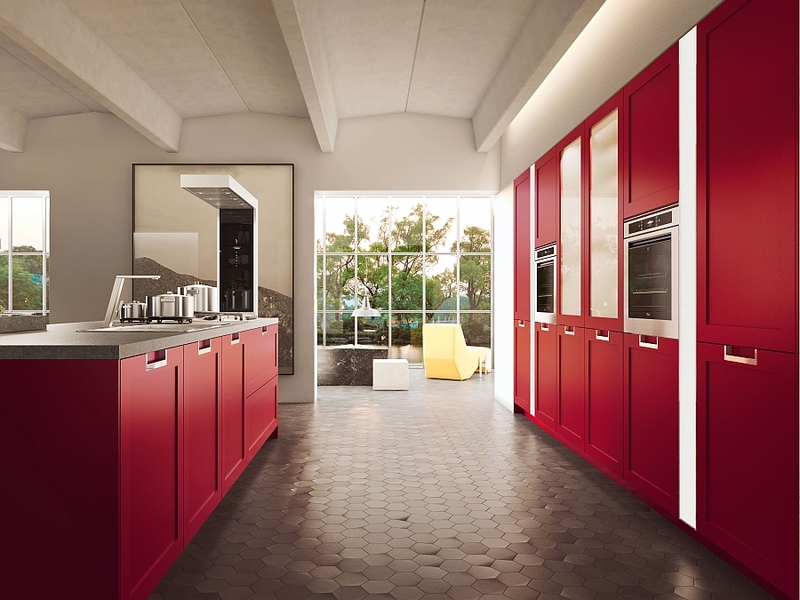 Another Italian masterpiece from one of the very best makers of modern kitchens, Lux is all about the ‘beauty of discretion’. 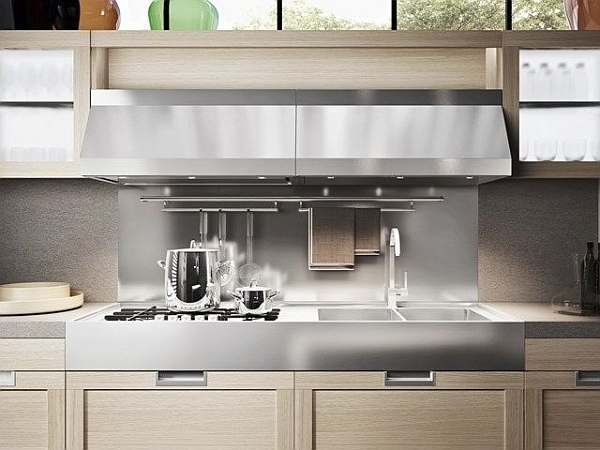 Bringing together glossy metallic surfaces, shiny lacquered countertops and warm wooden textures, the kitchen presents a visual contrast that is simply captivating. 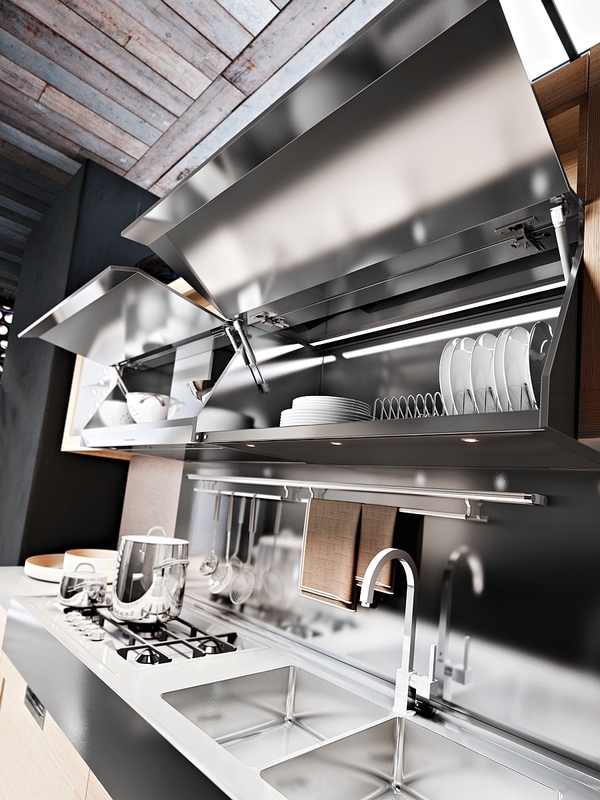 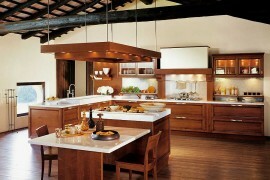 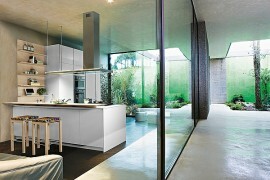 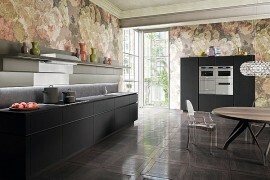 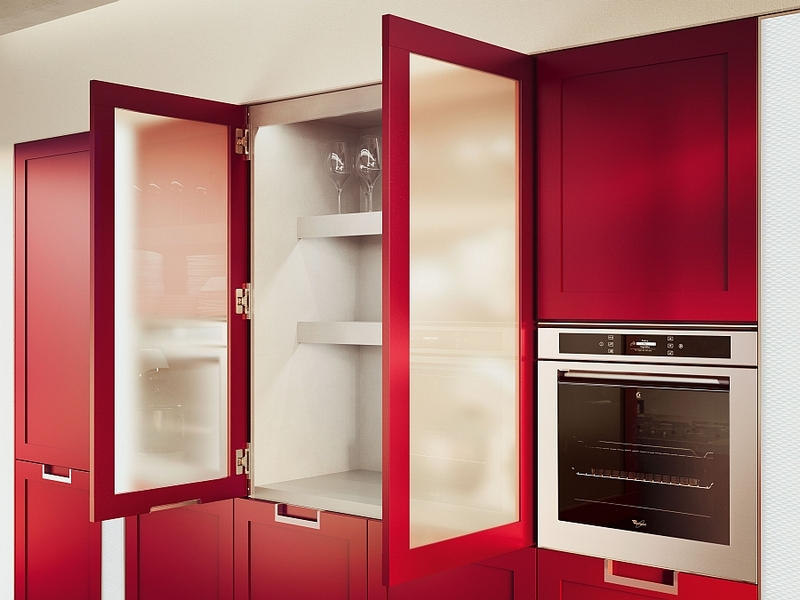 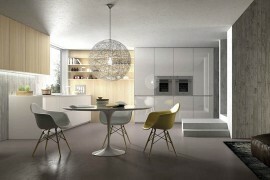 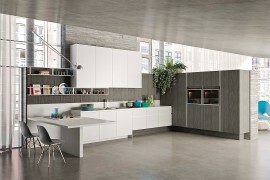 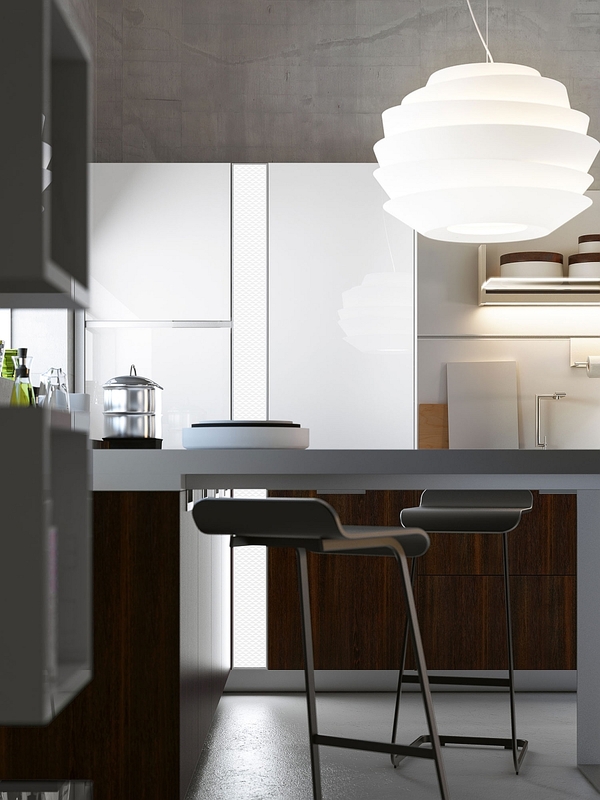 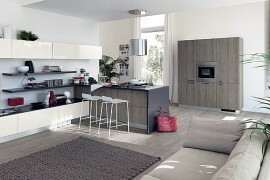 With dazzling LED lighting making up the crux of this engaging kitchen, you will be hard-pressed to turn away from it! 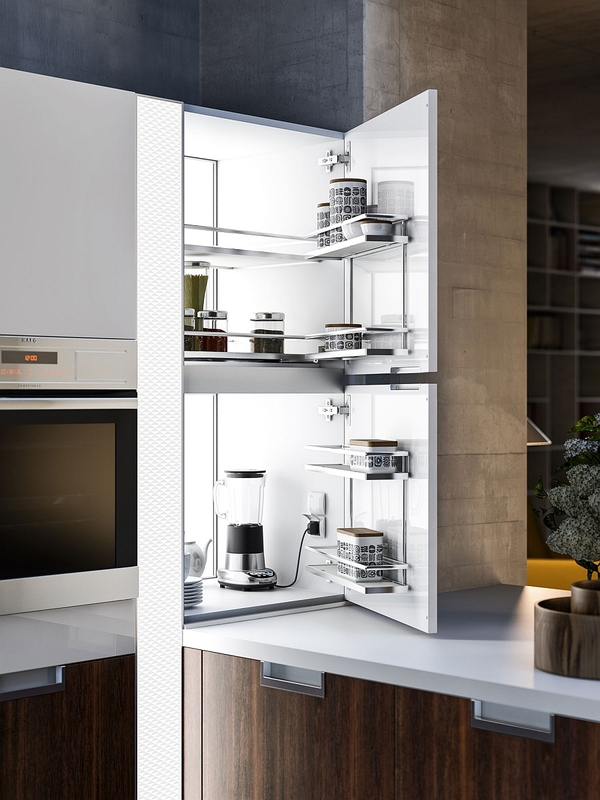 Glimpse beyond the obvious good looks and you will see that functional storage solutions and brilliantly lit display shelves truly set this kitchen apart from the others. 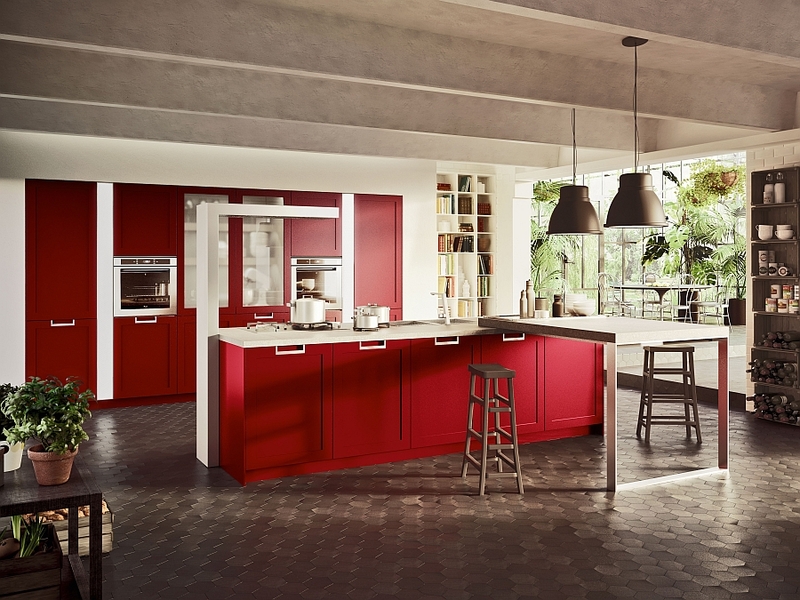 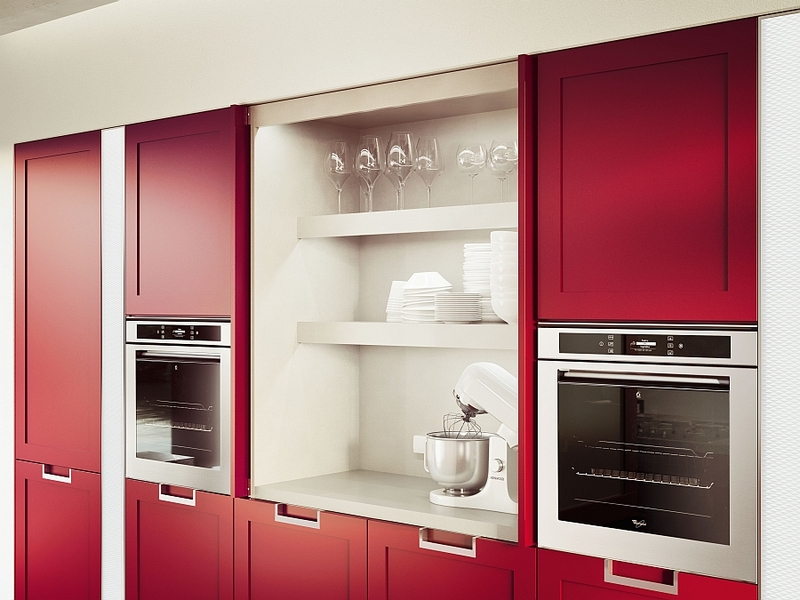 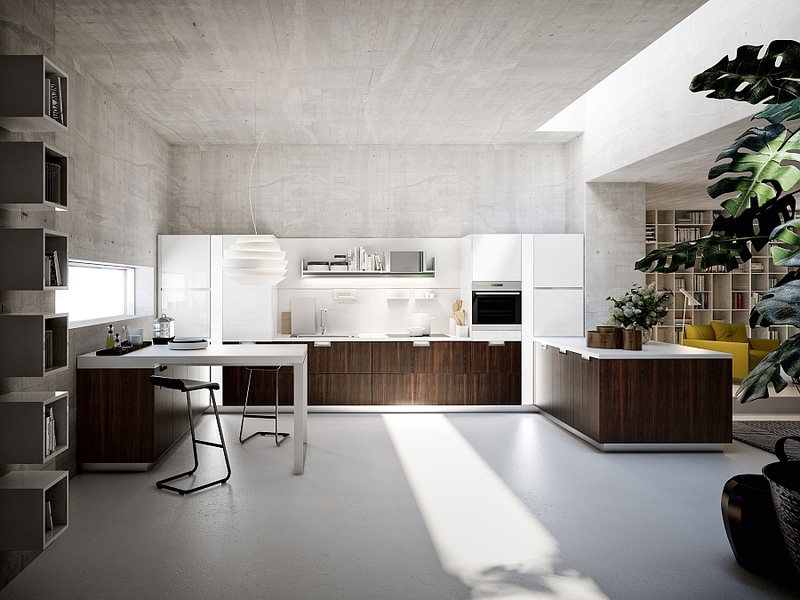 As in the case of the captivating Orange kitchen we saw earlier from Snaidero, Lux also places great importance on high-quality finishes, innovative and discreet recessed handles that are both minimal and invisible, and a stunning kitchen island that steals the show. 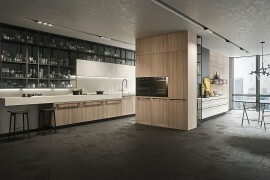 Each configuration can be customized depending on the floor plan of your kitchen, while a wide array of colors for the cabinets, worktops and finishes ensure that it blends with the existing theme of your house. 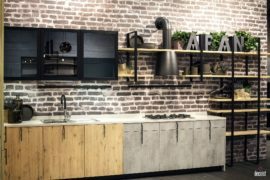 What impresses us the most with this cool kitchen is the pivotal role that lighting plays in defining the ambiance of the space. 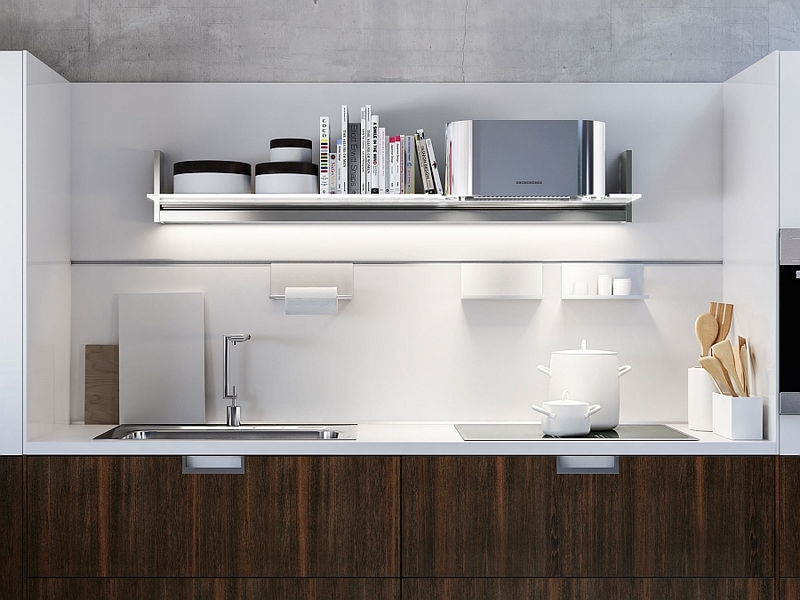 Vertical and horizontal LED panels illuminate not just the work areas but also storage shelves and display units. 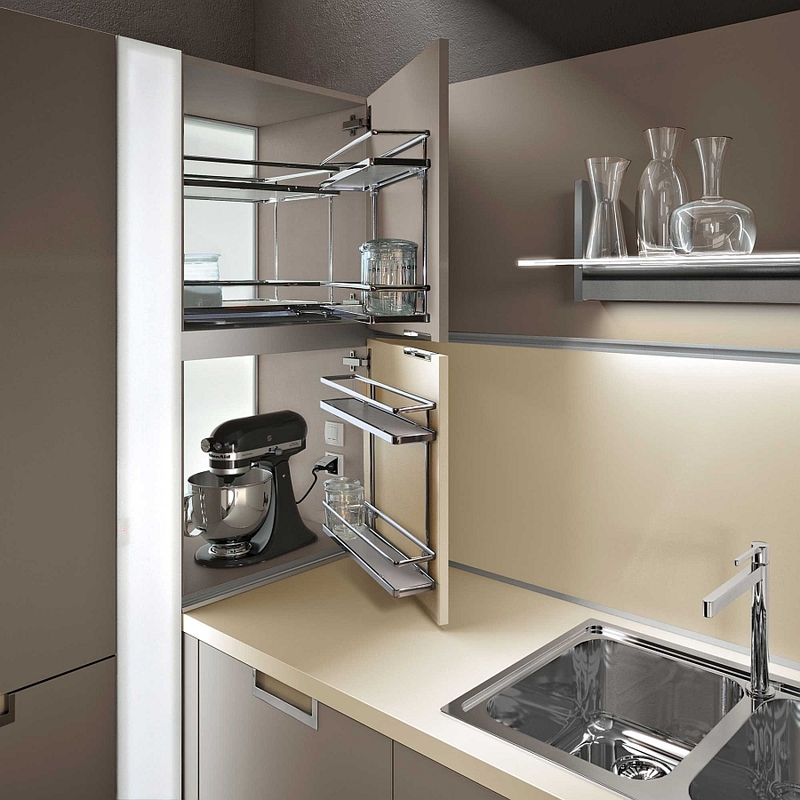 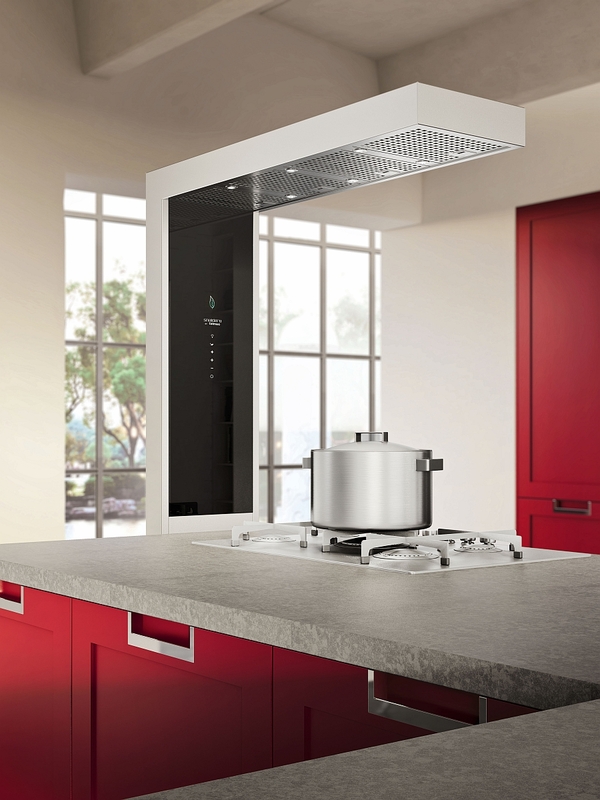 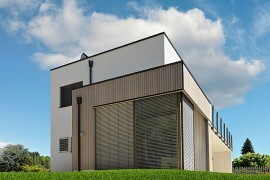 The ecological lighting system in place is also ideal for those looking for sustainable features in their future kitchen.